This article looks at five budget wired lavalier microphone options for production sound. Let me state up front – audio is a subjective thing, and I’m far from being an audio expert. What sounds good to me might not sound good to you. The only way to know for sure which mic sounds ‘good’ is to ask your own ears. You owe it to yourself to test various options before you buy. The problem for most of us, though, is that there aren’t many shops where one can do that. If you’re starting out, start cheap and then slowly work your way up. The cardioid differs in the way it tries to eliminate ambient noise. 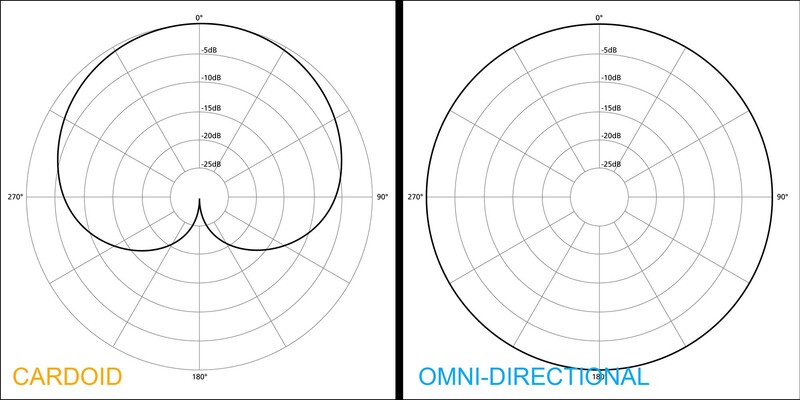 If you’re in a noisy situation, a cardioid will definitely suit you better than an omni-directional microphone. In drastic cases, a shotgun microphone with a super-cardioid pattern would be more preferable. Subject moves around and you want to keep the sound constant and directional. Subject moves head around and you want to keep the sound directional. You can’t frame for a shotgun microphone, or don’t have a boom operator or stand. You want to kill room tone or ‘space’, somewhat similar to what you might get in a sound studio. For these reasons, one uses a lavalier microphone mostly to capture human speech or dialogue. For many on low budgets, these are the only options. You get two kinds of lavalier microphones – wired and wireless. I won’t be going into details here, and there are advantages and disadvantages to both. In this article, I’ll only look at cheap but good-enough wired lavalier microphone solutions. Each mic has its own unique signature, and manufacturers can design microphones with a mixture of patterns for its own unique blend, e.g. the Sanken COS-22. Only an experienced mixer will really know whether the sound is worthy of fitting correctly in the final mix. If you want to be that person, be prepared to do a lot of listening. One of the best resources you will ever find for wired lavalier microphones is Ken Stone’s monster comparison. The Audio-Technica ATR3350 is a legend for its price. If you’re in a cash crunch but want really good voice recordings on the go, look no further. Cost at the time of this writing: $25-30 on Amazon . Important: Prices may be inaccurate or wrong. Please contact manufacturer for correct specifications and prices. Cost at the time of this writing: $20 on Amazon . This is an equally popular alternative to the Audio-Technica mentioned above. This is a cardioid microphone, probably the best you can get for about $100. Cost at the time of this writing: $100 on Amazon. Cost at the time of this writing: $90 on Amazon. This one is made specifically for smartphones. The smartLav+ is the newer version (the older one being smartLav). Cost at the time of this writing: $79 on Amazon . For budget options I would go with any Audio-Technica lavalier microphone. Personally, my all-time favorite wired lavalier microphone is the Sanken COS-11D, a legend. Power source – what kind of batteries? Phantom power? Clothing/Tie Clip quality – after all, it’s going to be clipped to clothing. Remember, there’s no good or bad here, only ‘different‘. Go find yours. From experience, I can say that the Audio-Technica ATR3350 is garbage. The Jok lavs on amazon are way better, just as one example of a similarly priced mic that outperforms the AT. myheargear Yes, wireless mics have their place. There are situations where they won’t do. Wireless microphones have become a mainstay for most events, including meetings, lectures and conferences. Because they are wireless and can be moved freely, they are much more practical and more versatile than their wired counterparts.